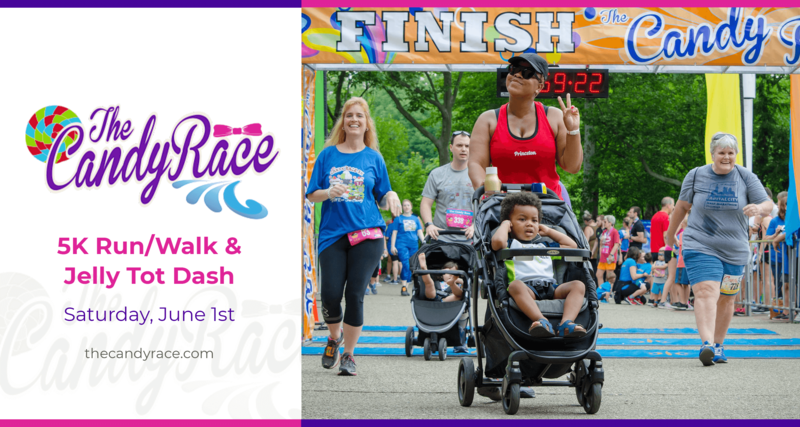 Come join us for one of the sweetest, most deliciously fun family 5k run/walks in Cleveland. When you finish, don’t be bashful to raise your arms and celebrate your accomplishment and collect a beautiful medal (oh and candy)! Make sure you smile for our photographer so you and your friends/family can enjoy your beautiful (and free) race photo for years to come!